Typically, a word processor is bundled with other applications in an office suite, but not always. There are also standalone word processors like Abiword and AbleWord. Like it or not, Microsoft Word is still the most popular word processor used by many people around the globe. But, everyone also knows that Microsoft Word is a paid software. Is there a free word processor to replace it? 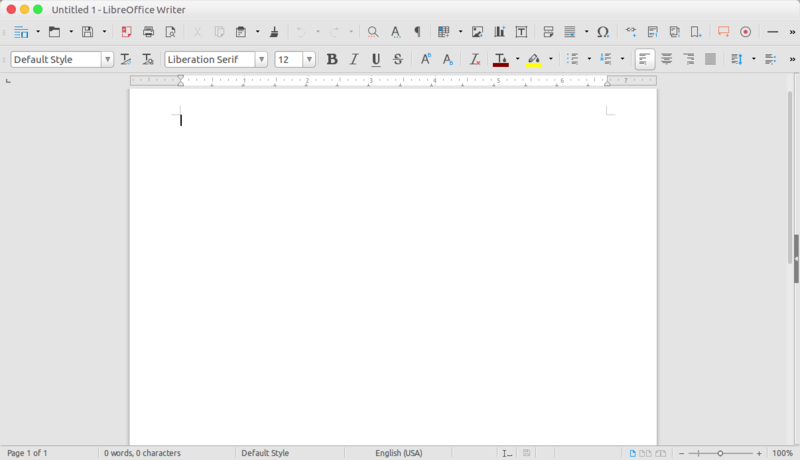 Word processors like LibreOffice Writer and WPS Writer are great free alternatives to Microsoft Office. They are part of LibreOffice and WPS Office, respectively. 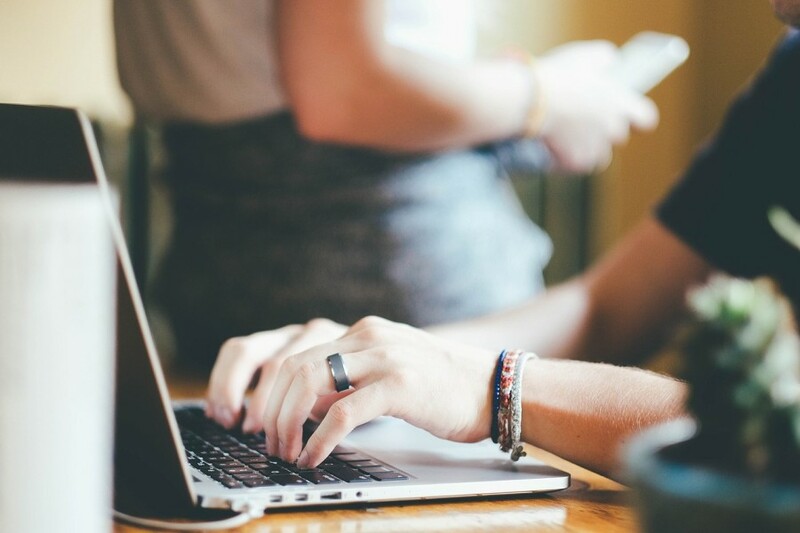 Most Word Processor developers have made their applications to be compatible with Microsoft Word so you can still working on the documents you created with Microsoft Word. Below is the list of free word processors you can use to replace Microsoft Word. 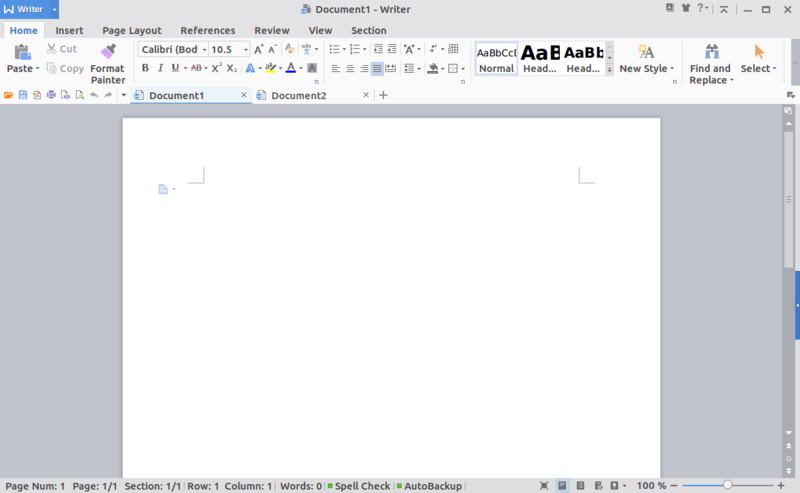 LibreOffice Writer is a free word processor part of LibreOffice. It is not available as a standalone application so you have to install the whole office suite of LibreOffice to use LibreOffice Writer. LibreOffice is an open source software and available for major platforms from Linux, Windows to macOS. In addition, the software is also available for iOS and Android. LibreOffice Writer uses OpenDocument Format as the default document format. Your file will be saved with the the extension of .ODTunless you choose other formats. There are about 14 different document formats you can choose on LibreOffice Writer, including Microsoft Word (DOCX). LibreOffice Writer allows you directly convert your document into a PDF format without needing to install any add-on. LibreOffice itself becomes a default office suite on most Linux distros. 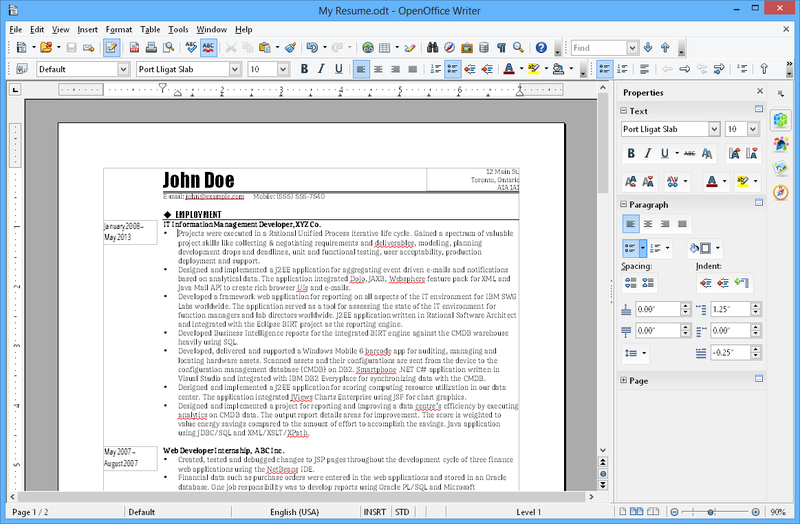 Apache OpenOffice Writer is free word processor part of Apache OpenOffice, an open source office suite developed by Apache Software Foundation. Apache OpenOffice is built with the same core as LibreOffice so the features offered by the two are not much different. Hardly even any difference between them in terms of feature. Apache OpenOffice Writer also uses the OpenDocument Format as the default document format and also compatible with Microsoft Word. Apache OpenOffice is also available for three major platforms; Windows, Linux and macOS. If your intention of looking for a free word processor is really to replace Microsoft Word then WPS Writer is probably the best option. You don’t need to make too many adaptations when switching to this word processor since its interface is extremely similar to Microsoft Word. 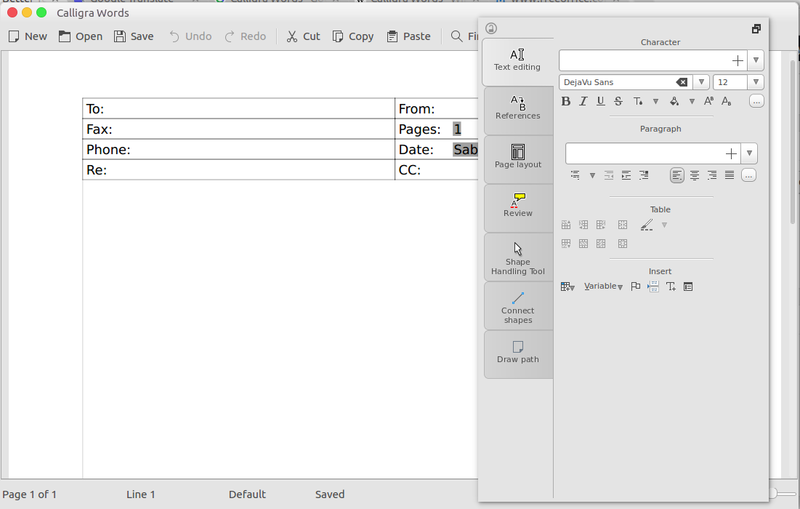 The menu and toolbar layout of WPS Writer is extremely similar to Microsoft Word. It is even also uses Microsoft Word as the default document format. Unless you change it, your document will saved in the Microsoft Word format with the extension of .DOCX. WPS Writer itself is a part of WPS Office, a cross-platform office suite that is available for Windows, Linux, macOS, Android and iOS. WPS Writer comes with a tabbed interface, allowing you to work on multiple documents in a single window. OnlyOffice Document Editor is also a nice free word processor to replace Microsoft Word since it also uses Microsoft Word as the default document format. In addition, OnlyOffice Document Editor also supports multiple tabs like WPS Office to allow you work on multiple documents without needing to switch from a window to another one. 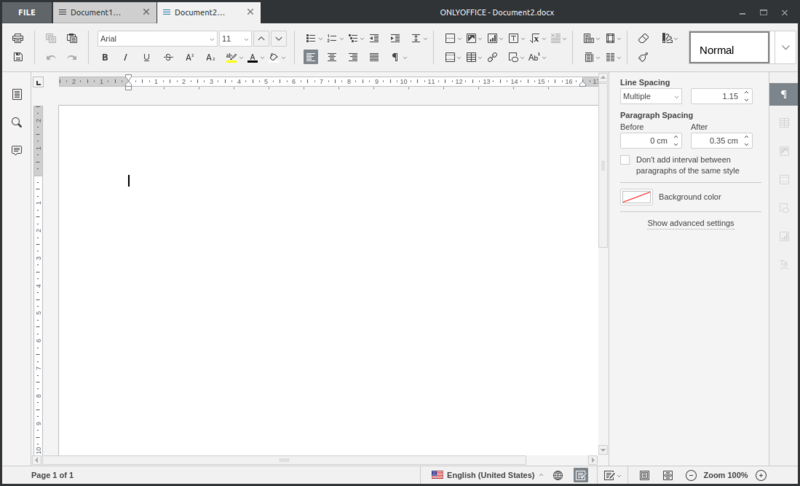 OnlyOffice Document Editor is a part of OnlyOffice, a cross-platform open source office suite developed by Ascensio System SIA. OnlyOffice itself is available in two versions, SaaS (web-based) and desktop-based. The desktop-based version of OnlyOffice is available for Windows, Linux and also macOS. Unlike four first word processors above which are part of an office suite, AbiWord is a standalone word processor. So, if all you need only a word processor without other applications then AbiWord is a great option. It’s just, AbiWord is only available for Linux. Previously, AbiWord also supported Windows, but the Windows support has been stopped. AbiWord is an open source software. Popular Linux distros like Ubuntu have added AbiWord to their software repositories so you don’t to manually build it. There are about 27 document formats supported by AbiWord, including Microsoft Word (DOC and DOCX) and OpenDocument (ODT). AbiWord itself has its own default document format with the file extension of .ABW. FreeOffice is a free, cross-platform office suite that is projected to be a Microsoft Office alternative. 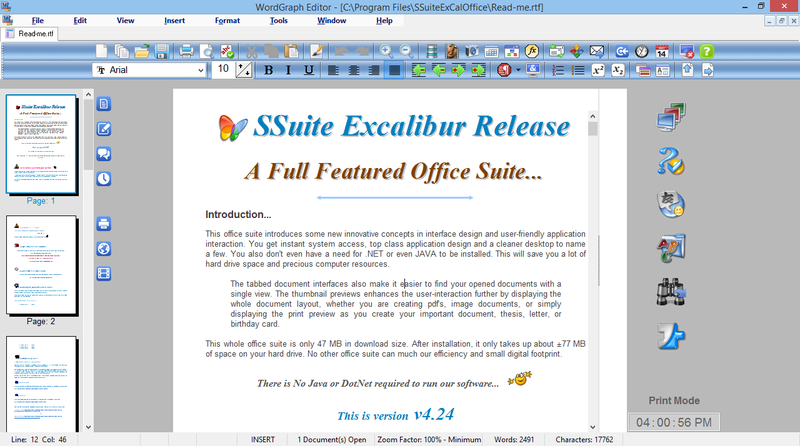 This office suite consists of three applications, including FreeOffice TextMaker that you can use to create as well as editing documents. 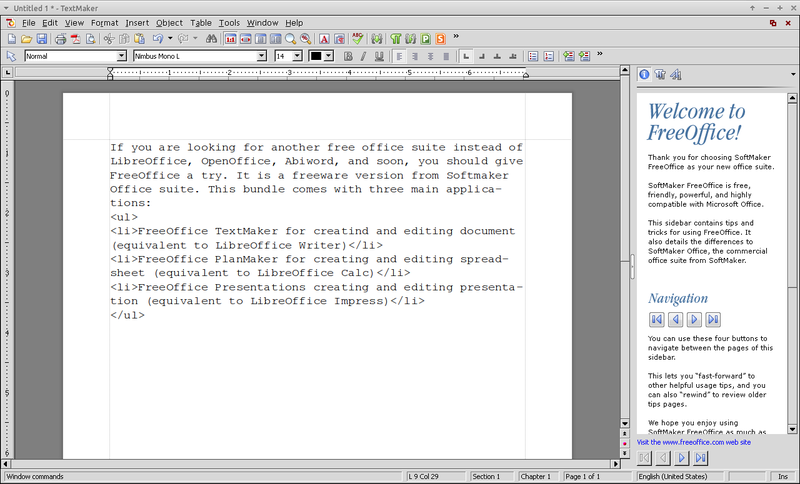 FreeOffice TextMaker is also compatible with Microsoft Word. FreeOffice itself is available for Windows, Linux and Android. It’s a proprietary software. You will be asked to enter your email address to download the software. FreeOffice needs your email address to send the activation key. Calligra Words might not the best option to replace Microsoft Word, but if you want to try something different then there is no bad to give it a try. Calligra Words is a free word processor part of Calligra Suite, an open source office suite developed by KDE. Calligra Suite is also a cross-platform software that is available for Linux, Windows and also macOS. Calligra Words supports about 8 different document formats, including OpenDocument and Microsoft Word. AbleWord has one thing in common as AbiWord. It is a standalone free word processor. The difference, AbleWord is built exclusively for Windows, no other platforms are supported. 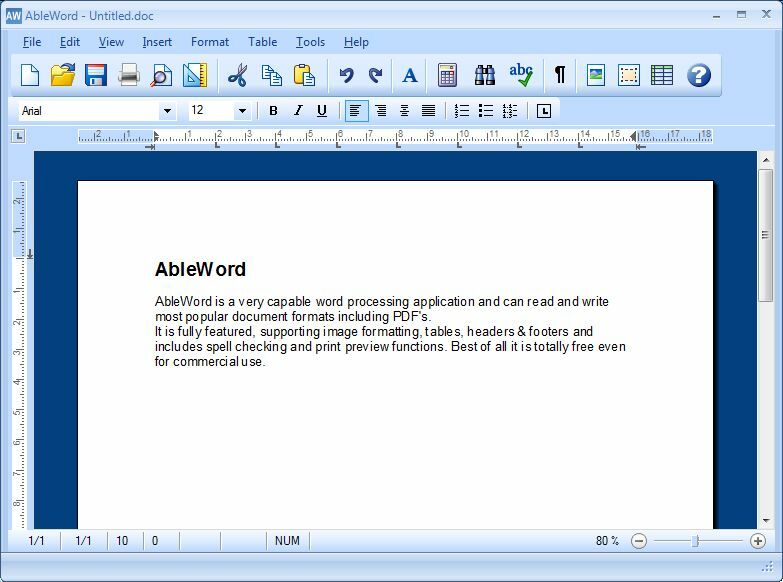 AbleWord is also compatible with Microsoft Word. It supports fewer document formats than other word processors above. AbleWord only supports Microsoft Word (DOC and DOCX), Rich Text Format (RFT), HTML and Plain Text Format (TXT). AbleWord comes with simpler interface and features. But, it is reliable enough to create complex documents. In addition to desktop-based word processors like mentioned above, there are also web-based word processors you can use for free to replace Microsoft Word. One of which, or course, is Google Docs. Google Docs is also capable of handling complex documents and it is also compatible with Microsoft Word. When creating a document on Google Docs your document file will be saved automatically to Google Drive. But, you can also download it if you want. There are about 7 document formats that are supported by Google Docs, including OpenDocument, Microsoft Word and Rich Text Format. 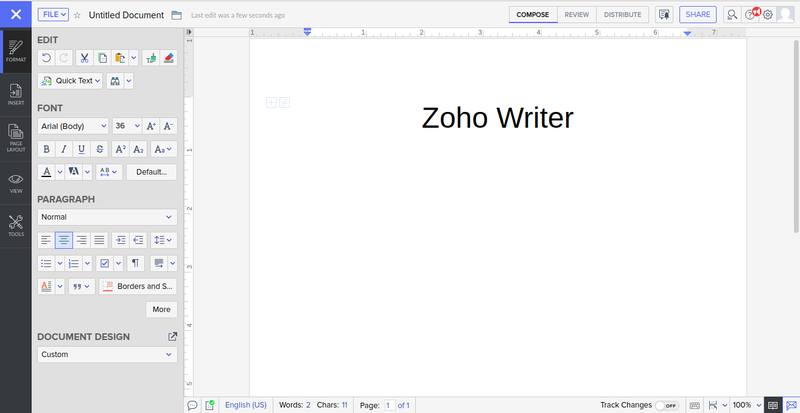 Zoho Writer is an online word processor part of Zoho Docs. You can also use it without spending a dime. When you use Zoho Writer for the first time you may think like “can I really use this tool to work on my complex documents? This is a text editor, dude. Different stuff to word processor”. 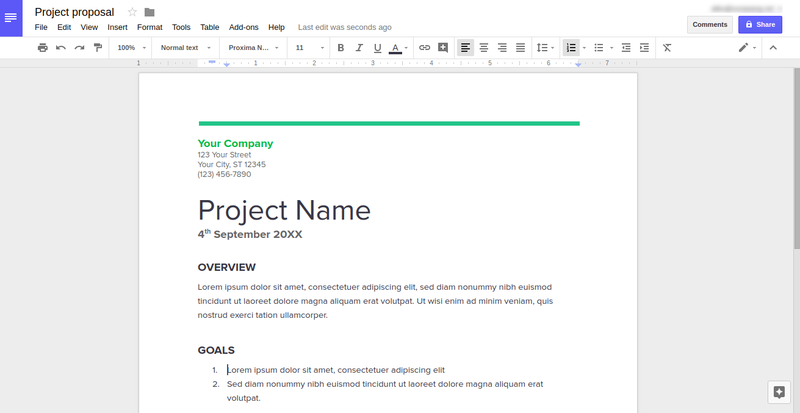 Unlike Google Docs which has a toolbar, Zoho Writer comes with a very clean interface. You will see no toolbar to make document formatting until you block the words or sentences you want to format. A pop-up containing toolbar will appear once you block a certain word or sentence. From this pop-up you can also show the sidebar containing the formatting tools you need. While your document will be automatically saved on the cloud, you can also download it. Zoho Writer supports several document formats including Microsoft Word, OpenDocument, Rich Text Format and EPub. Back to desktop. 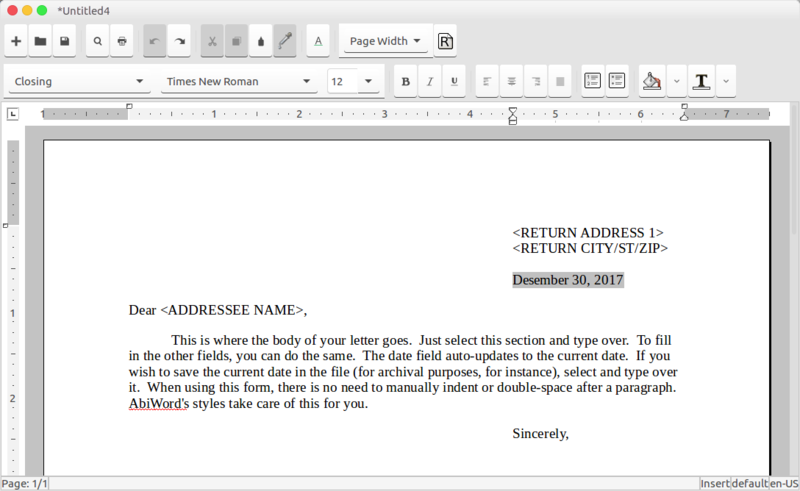 Another free word processor you can use to replace Microsoft Word is SSuite WordGraph Editor. This word processor is intended to be an alternative to Microsoft Word and OpenOffice Writer. Sadly, SSuite WordGraph Editor is only available for Windows although the official site says that you can run it on other platforms using emulator. The interface of SSuite WordGraph Editor is a bit similar to older Microsoft Word (Microsoft Office 2003 and older version). SSuite WordGraph also comes with document compatibility with Microsoft Word.